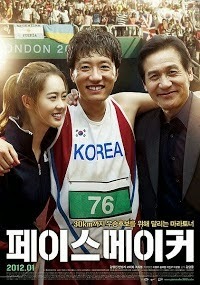 Once a promising marathon runner, Joo Man-Ho (Kim Myung-Min) was forced to give up his dreams because of a critical leg injury and to support his younger brother. Still unable to leave the track & field for good, Joo Man-Ho then became a pacemaker - a runner who leads his team during the first section of a marathon event before dropping out. He makes ends meet by delivering chicken for a friend's fried chicken restaurant. Park Sung-Il (Ahn Sung-Ki), his old coach from his marathon running days, pays Man-Ho a visit. Park Sung-Il wants Man-Ho to become the pacemaker for the Korean national team as it prepares for the upcoming 2012 Olympics. Man-Ho is even offered the chance to run in the Olympics as the pacemaker for the Korean team. Park Sung-Il accepts, but faces recurrence of his leg injury, which could prevent him from ever running again and must also contain his original dream of becoming a champion marathon runner.